As part of the WW1 centenary commemorations, the Department for Communities and Local Government are presenting VC commemorative paving stones to councils in the areas where First World War Victoria Cross recipients were born. 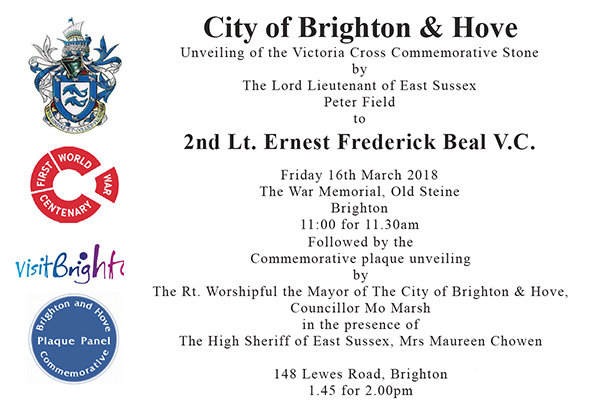 The City of Brighton & Hove will receive three VC stones during the centenary period, recognising the courage and sacrifice made by Theodore Wright, Ernest Beal and Edward Mannock. The stones are to be laid around the date of the 100th anniversary of the action for which the VC was awarded.